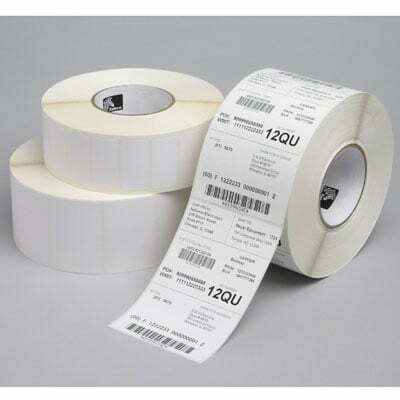 Zebra Z-Ultimate 2000T White - 1" x 0.375" Thermal transfer polyester label. 3 labels across. 10,002 labels/roll. 4 roll case. The Zebra 10011976 is also known as ZEB-10011976-CASE	.